The study of Food Science and Nutrition includes the components of foods, their chemistry and metabolism,technology involved in production, processing and preservation, safety for human consumption, meal planning and management - all in relation to total well being of human beings. Thus nutritional science is the corner stone for the overall national development. The ultimate aim of all developmental progress is to achieve the goal of "Health for All " .The department of Food Science and Nutrition has taken up this challenge of the nation since its inception and has built its programmes oriented towards excellence and community development to shape the future teachers, administrators, research workers and home makers into nutrition and health conscious citizens. Conscientise the community on food, nutrition and health. 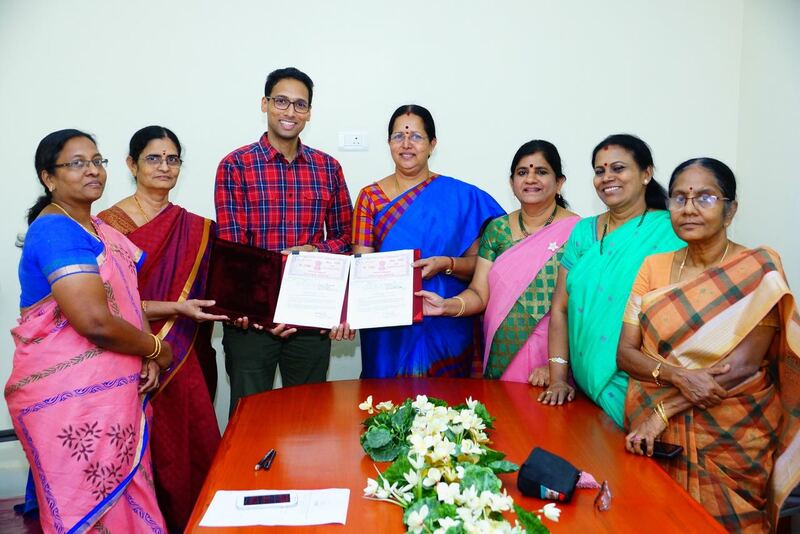 A subcontract was signed between AVRDC - The World Vegetable Center (AVRDC) and Avinashilingam Deemed University for Women (AUW) for a project entitled "A better bitter gourd: Exploiting bitter gourd ( Momordica charantia L .) to increase incomes, manage type 2 diabetes, and promote health in developing countries"
Investigators: Dr.S.Premakumari, Dean, Faculty of Home Science, Dr.N.S.Rohini, Professor and Head, Department of Psychology, Dr.S.Kowsalya, Associate Professor, Department of Food Science and Nutrition Dr.R.Radha, Assistant Professor, Department of Food Service Management and Dietetics and Dr.Preetha menon, Assistant Professor, Department of Psychology. Small scale funding agreement with Avinashilingam Institute for Home Science and Higher Education for Women, Coimbatore and UNICEF, Chennai to implement the activity "SMART survey under CMAM initiative in Tribal Attapady, Kerala"
December 2015 to May 2016 with a total project cost of Rs.18,42,775/-. Investigators: Dr. Dr.M.Sylvia Subapriya and Dr.Pa.Raajeswari, Department of Food Science and Nutrition. Liasion Officer: Dr. A. Thirumani Devi, Associate Professor, Department of Food Science and Nutrition. Nutritional Status of Semai Aborigines (orang Asli) in Perak,Peninsular Malaysia. Effect of Interventions onVitamin A and Iron Nutritional Status among Primitive Tribal Children in Nilgiris district. Prevalence of micro nutrient deficiency in Ramanathapuram district and and impact of dietary interventions. 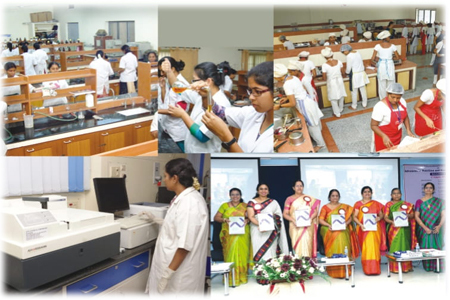 UGC sponsored International Conference on Human Wellness – A Holistic Approach held on at Sarada College for Women (Autonomous), Salem – 636 016.